Christina graduated from Millersville University where she majored in Biology. 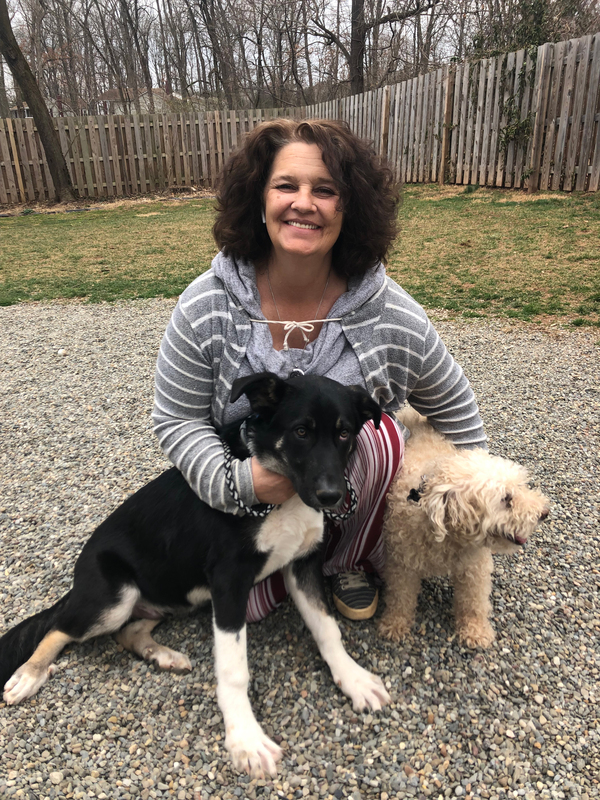 Before coming to NHVH, she worked at Metropolitan Veterinary Associates for 9 years in the Surgery department, Treatment department, & Emergency service. Christina joined the NHVH team in November 2018. Her pets include a cat named Syd, a turtle named Turbo, and a dog named Mano. In her free time, Christina enjoys being lazy with her husband and pets, traveling, kayaking, & hiking. 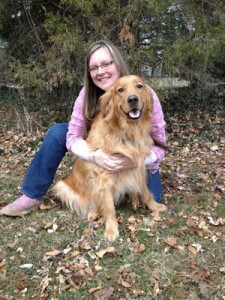 Kelly has been a member of the New Hope Veterinary Hospital team since 2001. She has worked in the animal field since she was 14 years old. Kelly rescued her first cat when she was 9 years old and knew this was her calling in life. She is a registered ACO (Animal Control Officer). 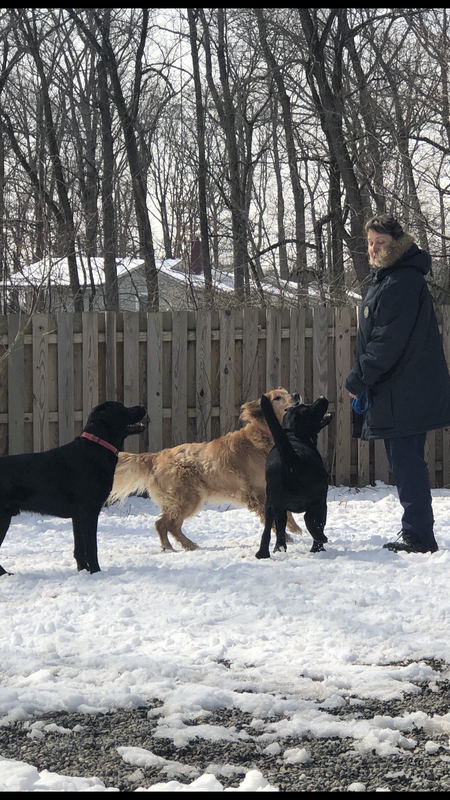 Kelly spends all of her spare time with her puppy Sully and his 2 dog brothers Roo and Augie. Kelly also shares her home with four cats and 11 tarantulas. Kelly enjoys reading and going to dog parks. Jessica graduated from Delaware Valley University with a bachelor's degree in small animal science and joined NHVH team in 2015. 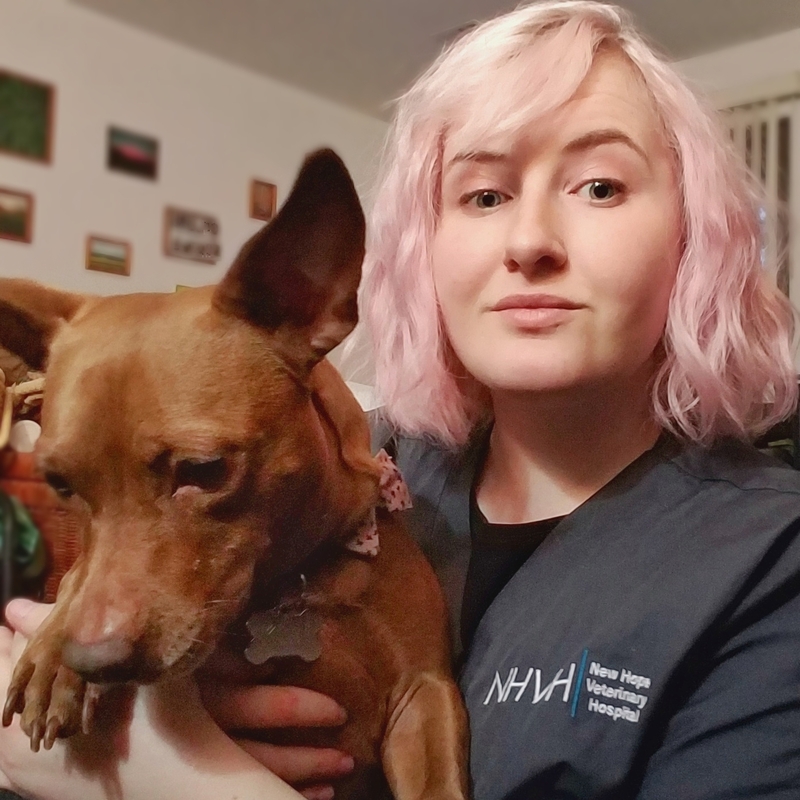 She is currently working towards getting her veterinary technician certification, and spends her free time with her lab mix Anush and her other small animals and reptiles. Chrystel graduated from Freehold High School in NJ and later attended Brookdale Community College, where she focused on health and human services. Chrystel previously worked for Freehold VCA as an assistant. She is also a Certified Home Health Aide, which exemplifies her desire and compassion in helping people as well as animals. Soon after meeting her husband, Chrystel relocated to Bucks County and was hired by NHVH in 2014. She enjoys spending time with her family and her two cats Jerome and Bernadette. Kate graduated Delaware Valley College majoring in large animal science, with a minor in small animal science. Throughout college Kate worked as a barn manager for a equine facility. While there, she also trained horses, taught lessons and showed quarter horses. After college she joined the NHVH staff in March of 2008. Kate spends the rest of her time with her family and farm animals. 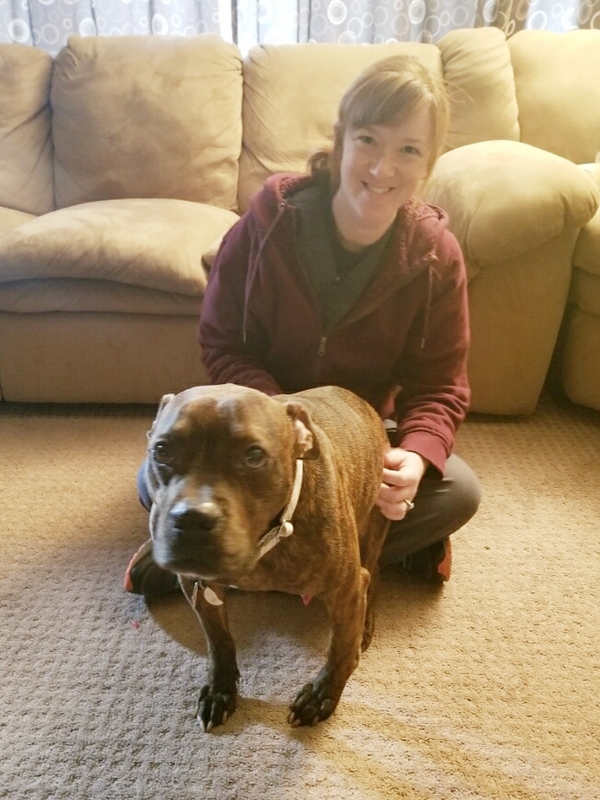 Tierra joined the NHVH family in February 2019. She has six years experience working in customer service, is always happy to help, and loves making people smile. Ever since she was a kid she always dreamed of working with animals, now the highlight of her day is seeing any pet walk through the front door. 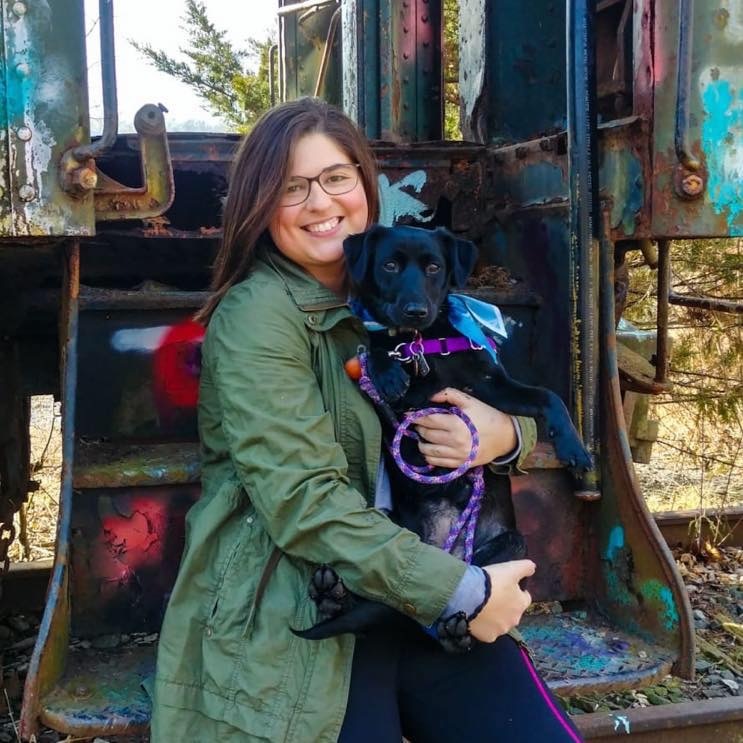 On her days off you can find Tierra volunteering at the Lahaska SPCA, painting, or taking a relaxing stroll through historic New Hope with her dachshund mix, Kiwi. Morgan works part-time as a receptionist at NHVH, and is currently pursuing a communications degree at Bucks County Community College. 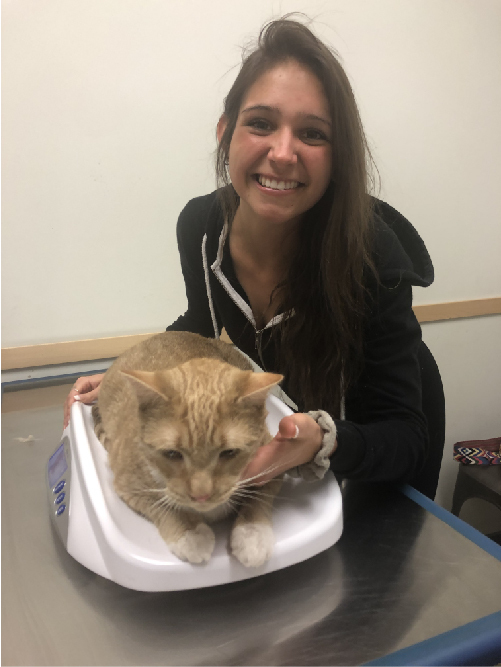 In her free time, she enjoys spending time with Oliver, a cat she adopted from NHVH!